Nowadays, more and more organizations are looking to develop their own taxi booking apps like Uber. 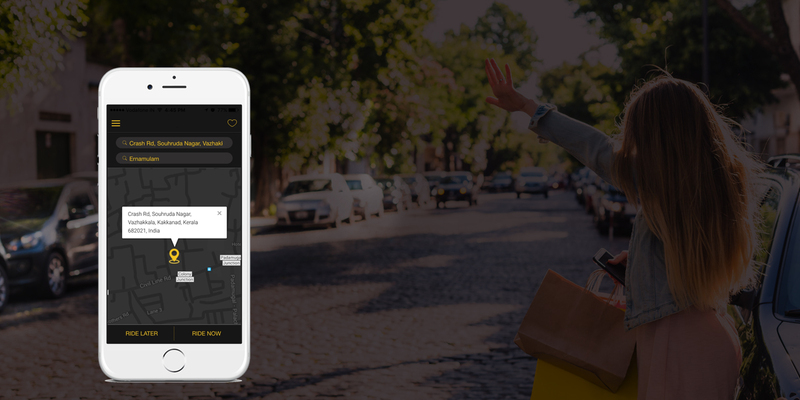 The ultimate success of a taxi booking app has changed the concept of taxi transportation. Though numerous organizations are showing interest in taxi app development, the most important thing is delivering the best services by considering all constraints like quality, price, and on-time delivery. If you are also looking forward to entering this business, you need to focus on the following things. The top and the most important thing to understand while developing a taxi booking app is that there are three modules/apps, driver, passenger and admin. To search cars, identify the current location and track the way, you can utilize the GPS tracking technology to your application. Moreover, by including this feature, you can give an approximate estimation to both driver and passenger for a hassle-free journey. Nowadays, people don’t prefer to transact in cash and opt for in-app payment. Hence, an app without any payment gateway solution is a waste. You must include an in-built payment option to facilitate passengers to pay directly from the app. Drivers using your taxi driver app have to pay some fees to you. Offering a facility to pay online will make their life easy. Being an admin, you are privileged to create rules like what should be the charges for the drivers and when and how you would do it. Everything that you need to do is to define several subscriptions and choose the billing cycle. The rest process will be handled by the system and automatically collects payments. The online billing process will eliminate the need for manual paperwork. You should also facilitate drivers to access current balance, list of the transactions, subscription details, and top-up features. It is important to analyze your business properly. One traditional way to do it is collect number, evaluate them and plan accordingly to improve your business. If you have information about your business in well-structured reports, it can assist you in finding out the improvement areas to expand your business. This report can have information about the assigned orders vs missed orders, the total number of orders received and booking sources. Having a proper authorization process helps you to improve your app’s performance in various areas such as for online payments. You can also add other information such as driver’s name, license plate number, contact details and profile pic to build customer trust. Reviews and ratings are other features that you can add to the profile section. This makes communication between passengers and drivers easy and effortless. This is something used in every app irrespective of the industry as it gains the user’s attention. It is essential to send push notifications and in-app messages to passengers and drivers to inform them about the news and campaigns about your app. This is related to admin panel, creating a web-based panel with Google Maps facilitate you to take bookings from a mobile phone, manage taxis, drivers and assign trips. It also facilitates you to keep track of your drivers along with their status and track order requests created by passengers. Though you don’t have a plan to add any additional feature to your application, but keeping your app updated according to the recent market trends. As you can see, you have to take care of many features while creating taxi app, hiring well-experienced taxi app development company to create apps with Uber clone that will offer a bug-free, working product within your budget.